With so much happening in the stock and housing market the last few months, interest rates have been a bit unpredictable. As of February 9, the rates for a 30-year fixed mortgage fell to 4.01%, which is three basis points lower than last week, but still higher than last month’s average of 3.90%. Although the Federal Reserve raised its interest rates in December of 2016, signifying an anticipated turning point in the economy, the Fed voted unanimously to avoid yet another increase that could have taken effect this month. Although the economy is certainly improving – as is evident with the record-breaking Dow Jones Industrial Average that surpassed 20,000 points for the first time in history last month – many experts still aren’t certain when it comes to the future of the economy, and the Fed is taking a “wait-and-see” approach. This is undoubtedly the best possible choice to make right now – at least until things stabilize further. Stock and bond values tend to move in opposite directions. When the stock market soars as it did last month, bond values decline and yields increase significantly. As bond values drop, mortgage rates increase steadily. To help keep interest rates low, the Federal Reserve decided to reinvest in mortgage-backed bonds, which should normalize the stock market at the same time. The group claims that they will continue to invest in these bonds until they feel more certain about the future of the economy. Thanks to this announcement from the Federal Reserve, lenders feel more confident in the stability of the mortgage industry. Their decision to reinvest in mortgage-backed bonds alleviates some risk for lenders, which spurred the slight decrease in mortgage interest rates this week. As expected, they’re following right alongside the 10-year Treasury yield, which spiked nearly a full point after some hefty predictions about economic growth. However, mixed information about the economy – particularly as it relates to the job market and Trump’s fiscal policies – has caused things to normalize. Although the Federal Reserve’s benchmark rate is holding steady at nearly 0.5%, there’s a lot of speculation that this number will rise before 2017 is up. Unemployment rates are lower now than they have been in a decade, oil prices are on the rise, and the stock market continues to thrive. These are all good indicators that the economy will continue to strengthen, and with a strong economy comes inflation. That inflation will drive the benchmark up, and in turn, mortgage interest rates will continue to rise. However, because the 2016 GDP missed the predicted mark by quite a bit, experts agree that interest rate increases will be slow but steady. 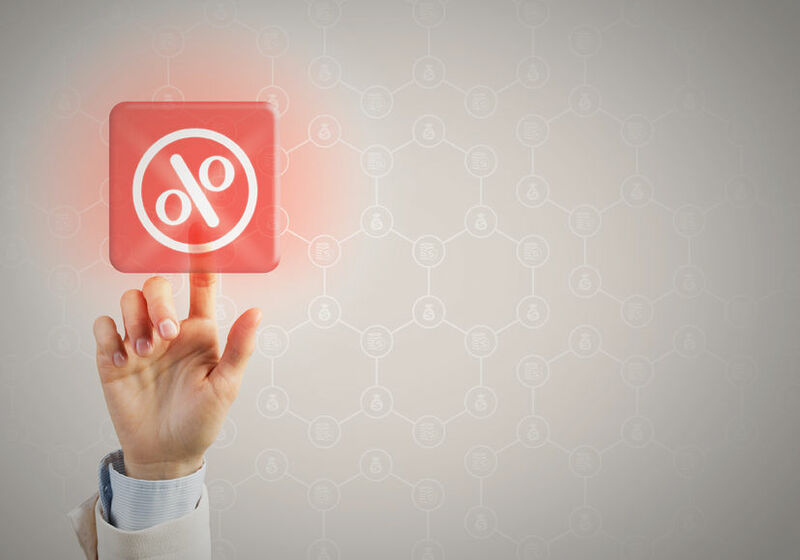 Although interest rates have fallen slightly in the last few days, there’s plenty of evidence to suggest that they’ll start a rising again sooner rather than later. The economy is strong, unemployment is low, and inflation is sure to increase the price of everything – including your mortgage. This entry was posted in Blog and tagged economy, interest rates by Scott Li. Bookmark the permalink.